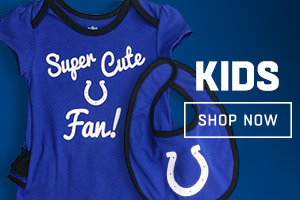 Welcome to the Colts Pro Shop - The Official Store of the Indianapolis Colts! 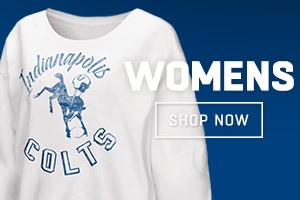 Shop for official Indianapolis Colts gear, t-shirts, jerseys, hats and other Colts merchandise at Colts.com. Rep your favorite Colts players with an Andrew Luck jersey or a a T.Y. Hilton jersey! The Colts Pro Shop carries a great selection of Colts t-shirts, hats & tailgate gear to support your favorite Indy football team. Colts fans, grab the latest gear with the 2018 Colts Sideline Collection. 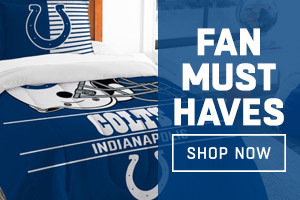 Bleed Blue by visiting Colts.com today!